Find the latest condo listings for sale at Jade Beach including condos for rent at Jade Beach. For information on any of the units you see for sale below please contact us and one of our Jade Beach sales office staff will help you find the perfect investment or dream condo in this unique one-of-a-kind luxury condominium. 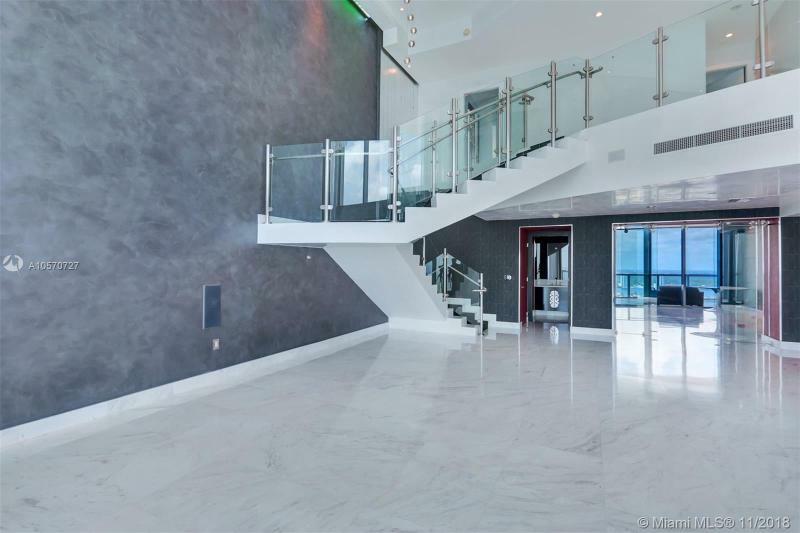 Private elevator leads you to a unique high-end completely remodeled two-level Beachfront 4BR + maids quarters/5.5BA penthouse with soaring 22 ceilings. Floor-to-ceiling impact windows throughout open to breathtaking unobstructed 180 degrees of flow through Ocean, City and Intracoastal views. All en-suite, large bedrooms & living areas open to 4 amazing terraces. This PH incorporates the highest available in technology allowing full automization of temperature, lighting, blinds and music from your iPad. Downsview Italian kitchen featuring Calacatta marble countertops equipped with Miele appliances and wine cooler. Exquisite wallpaper and real wood floors throughout and custom wood paneling in select areas. Truly a must see! Enjoy all of the exclusive amenities Jade Beach has to offer!! 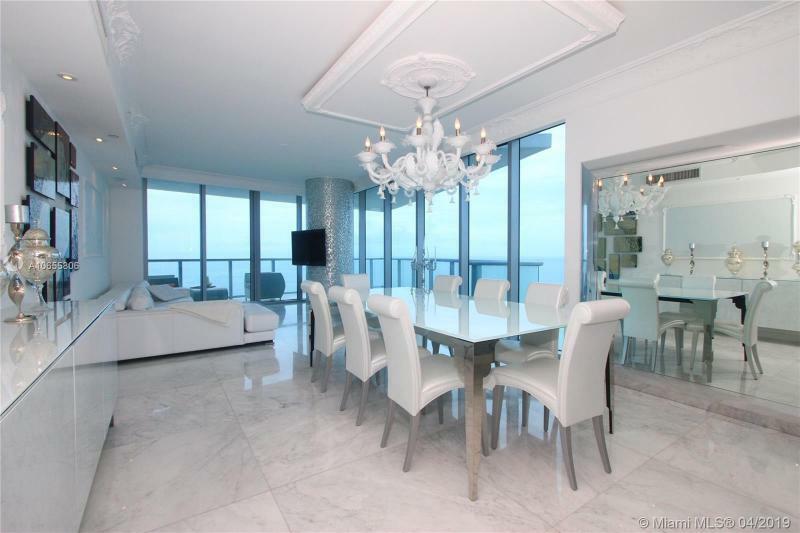 Gorgeous north unit with front ocean views and 180 degrees view to the bay and the city. Unfurnished and ready to be occupied. Gorgeous model unit, come completely furnished. Limestone floors, electronic window treatments. A TRUE GEM BY THE OCEAN! THIS STUNNING, REMODELED WITH UPGRADED FINISHES, FULLY AUTOMATIZED 3 BEDS 3 1/2 BATHS, OFFERS AN OPEN PLAN FROM CITY TO OCEAN, BUILT-IN CEILING LIGHTS WITH AN IMPRESSIVE BRIGHTNING LIVING ROOM AND MASTER BEDROOM, OVERSEEING THE OCEAN. CRYSTAL WHITE FLOORS THROUGHOUT, DARK WOOD ON MASTER BEDROOM, WALK-IN CLOSESTS, FULLY EQUIPPED KITCHEN, BUILT-IN SPACES THROUGHOUT, AUTOMATED LIGHTS, TV, A/C, MUSIC, ETC, EASILY MANAGEABLE FROM ANY DEVICE, 3 STORAGE SPACES 2 ASSIGNED PARKING, CUSTOM MADE FAMILY/THEATER. TOP CLASS AMENITIES, TWO POOLS, SPA, FITNESS, CHILDRENS PLAY AREA, BEACH-POOL SERVICE, CAFETERIA, 24 HOURS VALET & MORE ***WHAT I LOVE FROM THIS UNIT: IMPRESSIVELY AUTOMATED AND ILUMINATED HOME WITH BREATHTAKING AND UNOBSTRUCTED OCEAN & INTRACOSTAL VIEWS***A MUST SEE! Enjoy the ultimate luxury living at Jade Beach. Designed by world-renown architect, Carlos Ott, and furnished by FENDI Casa. Amenities include beach club service, full gym and spa, business center, childrens play room, 2 pools, valet, concierge and impeccable service. The views from this 40th floor are incomparable - Miami Skyline and more!! JUST REDUCED!!! PARADISE FOUND! STUNNING OCEAN AND CITY VIEWS FROM EVERY ROOM. COMPLETELY RENOVATED 3BED/ 3 BATH APARTMENT. FULLY FURNISHED AND PROFESSIONALLY DECORATED WITH ABSOLUTELY NOTHING TO DO BUT BRING YOUR PERSONALS. MILE AND SUB ZERO APPLIANCES, STATE OF THE ART SOUND SYSTEM THAT CAN RUN THROUGH YOUR I-PHONE! SMART HOME TECHNOLOGY, FLAT SCREEN TVS IN EVERY ROOM, WIRELESS INTERNET READY EVEN ON THE BEACH! WORLD CLASS SPA AND HEALTH CLUB AND ALL THE AMENITIES. AVAILABLE RENTAL. Imagine yourself living in this breathtaking ocean view/ocean front professionally decorated fully furnished luxury residence. 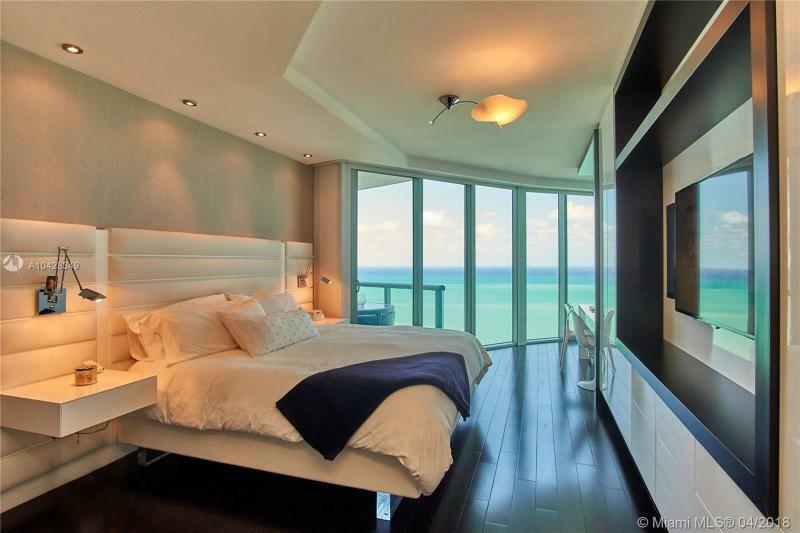 3 bed/ 3.5 bath - private entrance, flow through unit with panoramic ocean and inter coastal / skyline views. Amenities include beach club service, full gym and spa, business center, childrens play room, 2 pools, valet, concierge. Building designed by world-renown architect, Carlos Ott, and furnished by Fendi Casa. Incomparable view from the 41st floor! Must see! Enjoy spectacular sunrises & sunsets from your private balconies!Direct ocean & city views with a flow-through layout. This tastefully, professionally furnished 3 bed 3.5 bath unit features white monaco marble floors (36x36); Kartell furniture (Italian); upgraded Deca rain shower heads; large walk-in closet, plenty of extra lavatory area & a water filter system so that all the water used in the unit is purfied. The unit also has storage space. Located in the contemporary Jade Beach building equipped with world class amenities - 2 pools, hot tub, fitness room, spa, childrens play area, valet, and more + friendly staff as well as pet-friendly. Luxurious Jade Beach, flow through 3 bedroom 3 and half bathrooms, breathtaking direct ocean view from living room and master bedroom, and panoramic city views from second and third bedroom. Marble floors in common areas and dark rich wood floors in bedrooms. STUNNING 3 BEDROOMS SPECTACULAR BREATHTAKING OCEAN VIEWS. JADE BEACH OFFERS ALL LUXURY SERVICES AND AMMENITIES INCLUDE BEACH CLUB SERVICE, FULL GYM AND SPA, BUSINESS CENTER, CHILDRENS PLAY ROOM, 2 POOLS, VALET, CONCIERGE AND IMPECCABLE SERVICE. YOU WILL HAVE THE BEST TIME WITH THIS AWECOME RESIDENCE OF LUXURY LIFE. This is a Rare to find property and it is considered the very best line in the entire building. Corner unit with lots of natural light and floor to ceiling windows. Beautiful Sunrise and Sunset views. Direct Water Views from every single corner of the unit. Water Views from Master and Guest Bedrooms, and Direct Ocean Views from Living Room, Kitchen, and hallways. Private elevator. All fixed upgrades included, like Home Automation, electric blinds, and shades, 1 touch lighting ambiance set up, top of the line European appliances etc. Professionally Decorated and possible turn-key deal. (Complete High-end Furniture package and Artwork all negotiable). The unit is in Mint conditions and its like Brand New since it was always a vacation home for Foreign Owners. 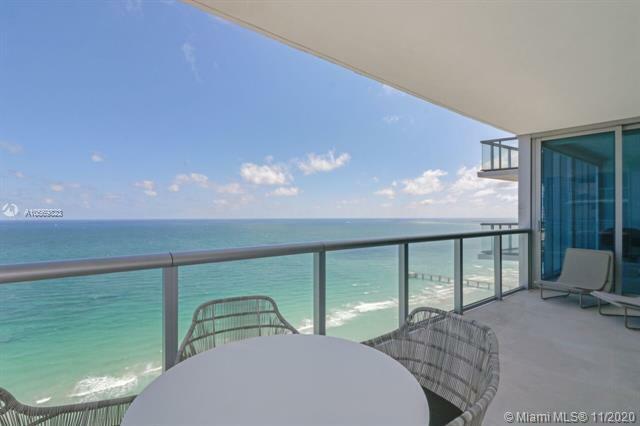 COMPLETELY REMODELED FURNISHED UNIT WITH A SPECTACULAR OCEAN VIEW. UPGRADED WITH WALLPAPERS, NEW DOORS, FIXTURES AND HIGH-END WALLS FINISHES. EXCLUSIVE RESIDENCE WITH WALK-THROUGH OCEAN AND CITY VIEWS. EXTRA STORAGE IN THE BUILDING. JUST REDUCED FOR QUICK SALE. PRICED TO SELL. HIGHLY COVETED NORTHEAST CORNER UNIT ON IDEAL MID-FLOOR. MOTIVATED SELLER. CALL LISTING AGENT FOR SHOWING. EASY ACCESS. SEE FLOOR PLAN IN ATTACHMENTS. Best line and most luxurious unit, fall in love with this state of the art renovation. Sensational iluminated onyx floors and venetian plaster walls give this open concept unit a unique high end look. High end appliances, a steam oven that complements the conventional one, built in coffee station, wine fridge and custom made cabinetry with the most exquisite hardware make the kitchen a chefs oasis. Custom made closets and bathrooms, high quality doors with beautiful handles, awesome light fixtures, electric blinds and floor to bottom windows with breathtaking views of the ocean and expansive 400 sf terrace.Unit was remodelded top to bottom with the highest standards. 5 star amenities. Den converted to 3rd bedroom. Furniture can be negotiated, not included in the price. Motivated owner. Enjoy five star resort style living with breathtaking, direct, unobstructed ocean views from this stunning 2beds+den/3baths, C model residence in the sky at the desirable oceanfront , full service JADE BEACH condominium, with 24 hours security, valet, world class amenities, onsite cafe, located in Sunny Isles Beach, designed by the world renown architect, CARLOS OTT. This spectacular unit features, over 9 1/2 foot ceilings, beautiful crema marfil marble floors throughout, snaidero kitchen and bathrooms cabinets, white quartz kitchen countertops, European Miele appliances including built-in steamer, coffee machine, stove, ceramic cooktop + subzero refrigerator, custom built closets, mirrors and window treatments, a storage and 2 assigned-covered parking spots. RESORT STYLE BUILDING DESIGNED BY RENOW ARCHITECT, CARLOS OTT. THIS SPECTACULAR 1 BED + DEN UNIT WITH OCEAN VIEW COMES WITH WHITE PORCELAIN FLOORS, MAGNIFICENT MODERN BUILT-IN UNIT, WHITE QUARTZ KITCHEN COUNTERTOPS, MIELE AND SUBZERO APPLIANCES, CUSTOM BUIL CLOSETS. A MUST SEE UNIT!!! COME AND FALL IN LOVE WITH THIS UNOBSTRUCTED BREATHTAKING DIRECT OCEANFRONT RESIDENCE IN JADE BEACH. SPECTACULAR AND FURNISHED 1 BED+ DEN / 2 BATH WITH 2 PARKING SPACES FEATURING GOURMET KITCHEN WITH TOP OF THE LINE APPLIANCES, PRISTINE MARBLE FLOORS THROUGHOUT, HIGH END FINISHES, WALK-IN CLOSETS AND MORE MAKE THIS CONDO A MUST SEE. INCREDIBLE FIVE-STAR AMENITIES, SWIMMING POOL, FUL SERVICE SPA, STATE OF THE ART FITNESS CENTER, BEACH AND POOL SERVICE, SMART PAD IN THE CONDO, POOL AND CHILDRENS ROOM, TEENS ROOM, CAFE, VALET AND MORE. CLOSE TO WORLD-CLASS SHOPPING AND DINING IN BAL HARBOR, AVENTURA, MIAMI AND MIAMI BEACH. CALL US TODAY IT WILL BE A PLEASURE TO SCHEDULE A PRIVATE SHOWING. AGENTS- PLEASE SEE BROKERS REMARKS. AMAZING OCEANFRONT VIEWS FROM THIS 1 BEDROOM CONDO + DEN AND 1 1/2 BATHROOMS OVER 1000 SQFT CONDO COMPLETELY UPGRADED WITH MARBLE FLOORS AND TOP OF THE LINE BOSCH APPLIANCES.ENJOY THE LIFESTYLE ON THE BEACH AND ALL THE AMENITIES OF THE JADE BEACH CONDO, CENTRALLY LOCATED IN SUNNY ISLES BEACH. EASY TO SHOW WITH 24 HS NOTICE CALL OR TEXT LISTING AGENT. 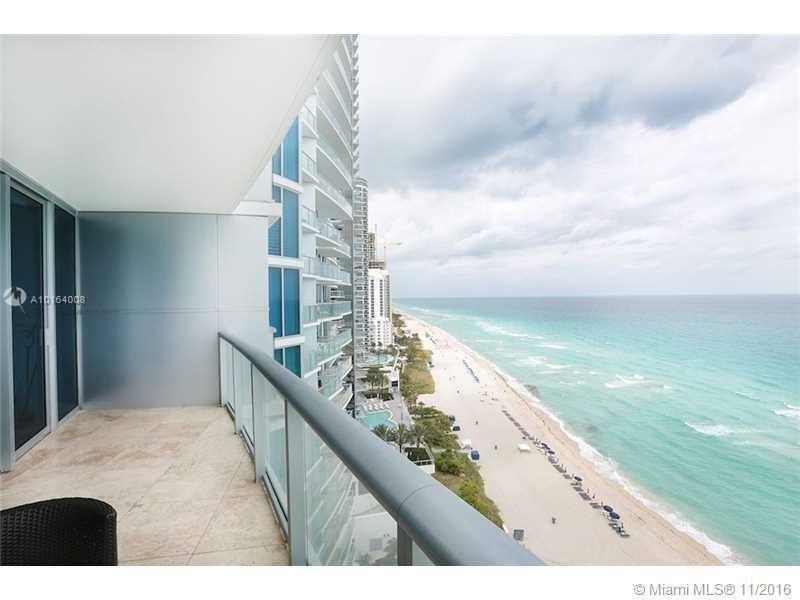 Spectacular 1 Bed + Den + 2 Baths residence with direct ocean view in the desirable Sunny Isles Beach. Fully furnished unit with 1 bedroom + Den + 2 bathrooms. Den can be used as second bedroom since it has a Murphy bed w/ 2 beds .This unit features: floor to ceiling windows, semi-private elevator foyer, modern Snaidero kitchen cabinets, Miele appliances, Quartz countertops, custom-made European closets and outstanding Marble floors throughout. Full service building designed by renowned architect Carlos Ott & furnished by FENDI Casa. 5-star amenities include 2 pools, onsite caf, oceanfront gym and spa. 1 Parking Space (#2009) & 1 storage (#225). 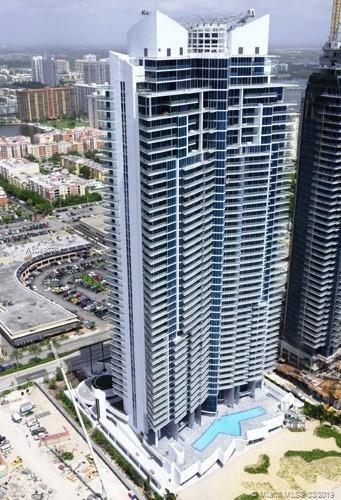 **JUST REDUCED** Spectacular 1br/2ba apartment in the most luxurious buIlding in Sunny Isles. Smart building with all amenities, 24 hours concierge and security. Great priced 1 bedroom in the building!!! Jade Beach was designed by world renowned architect, Carlos Ott. 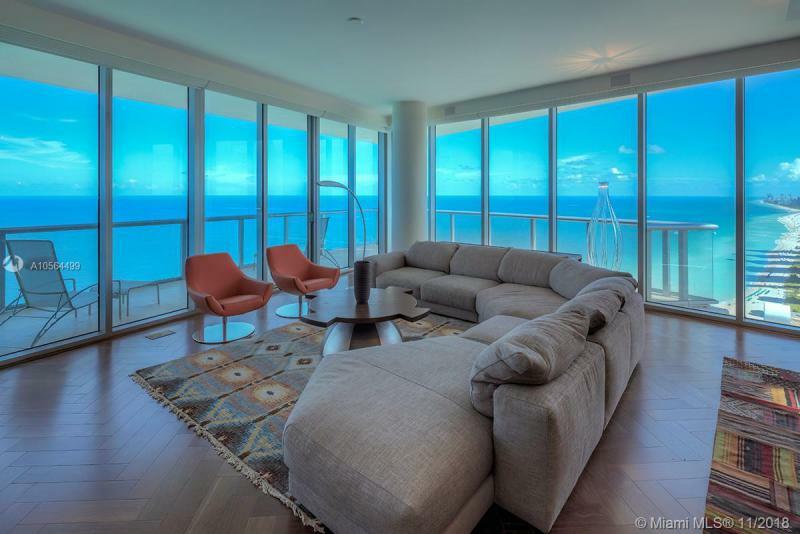 Enjoy luxury living in this beautiful direct oceanfront unit. Amenities include full spa and gym with TechnoGym equipment, Beach Club with kids club, business center, playroom,24-valet, concierge, among many more!! Direct ocean front modern unit in sought after Jade Beach. 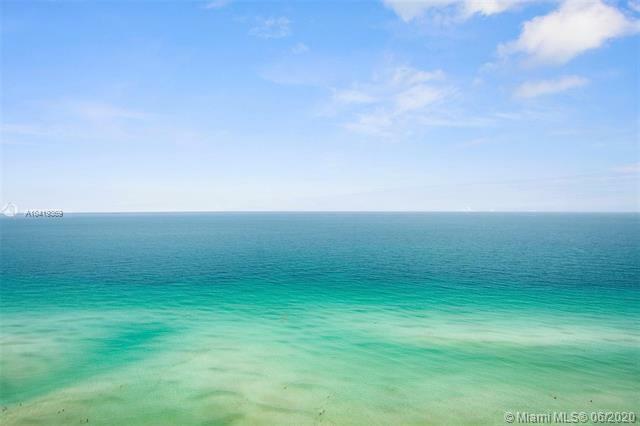 Location Location in beautiful Sunny Isles Beach. Bring your clients, shows great! Stunning north corner PH at Jade Brickell. Totally upgraded 4 bedroom 5 1/2 bathroom unit. Amazing kitchen with cooking island and top of the line Miele and Sub Zero stainless steel appliances. Marble throughout. All closets are custom made. Views from this flow thru unit are to die for. Watch sunrises and sunsets from this unit. 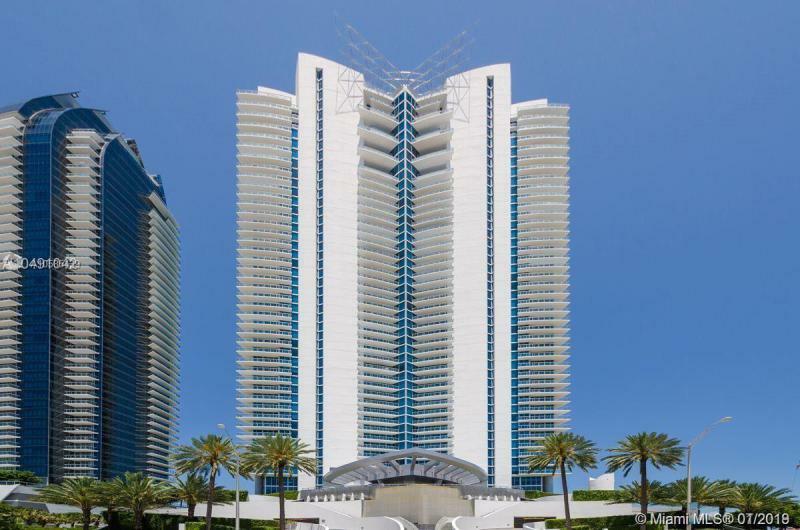 Direct and panoramic ocean, city, and intracoastal views. You can reach the sky from here. The sky is the limit!! This unit also features a laundry room. Private elevator. Building has two pools, sauna, whirlpool, state of the art gym , yoga studio,, and spa. Valet parking, concierge, doorman 24 hs a day. Unit is fully furnished and equipped. PARADISE FOUND! STUNNING OCEAN AND CITY VIEWS FROM EVERY ROOM. FULLY FURNISHED WIH ABSOLUTELY NOTHING TO DO BUT BRING YOUR PERSONALS. MIELE AND SUBZERO APPLIANCES, STATE OF THE ART SOUND SYSTEM THAT CAN RUN THROUGH YOUR I-PHONE! SMART HOME TECHNOLOGY, FLAT SCREEN TVS IN EVERY ROOM, WIRELESS INTERNET READY EVEN ON THE BEACH! WORLD CLASS SPA AND HEALTH CLUB AND ALL THE AMENITIES. EASY TO SHOW!! AVAILABLE FOR ANNUAL OR SEASONAL RENTAL. Great ocean views from this gorgeous unit on 31st floor, 2 bed + den, 3 full baths. Den has been converted to a full bedroom with a full bathroom. Beautiful marble floors, Italian kitchen ,washer/dryer, walk-in closet. Private elevator, floor to ceiling windows & doors. Full amenities include 2 pools, sauna, Jacuzzi, waterfront -gym, 24 hr concierge, valet parking, internet & cable, and much more. Seasonal Rental! Available Now.Luxurious Direct ocean front apartment. Floor to ceiling windows, with contemporary kitchen, MIELE appliances and direct ocean views. Top of the line fixtures and appliances in addition to top of the line furniture. Smart building technology including touch screen monitor in each residence and, FREE valet, 24hr security, pool, spa, fitness center, beach club, pool bar and more. 1 parking assigned. Price may vary depending on season. Easy to show. ABSOLUTELY STUNNING DIRECT OCEAN FRONT 1/2 WITH A DEN/OFFICE. ALL CUSTOM BUILT INS. NEW DOORS.MARBLE THROUGH OUT. DISIGN BY PROFESSIONALS!!! EXTREMELY EXPENSIVE RENOVATIONS. ALMOST NEVER USED. FULL SERVICE BUILDING WITH FULL AMENITIES.VERY MODERN FURNITURE. MUST SEE!!! Great priced 1 bedroom in the building!! Jade Beach was designed by world renowned architect, Carlos Ott. Enjoy luxury living in this beautiful direct oceanfront unit. Amenities include full spa and gym with Technogym equipment, Beach Club with kids club, business center, playroom, 24 hour valet, concierge among many more! !